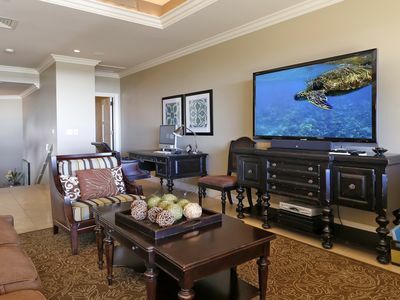 Prime Beach Front 1 BR/BA condo. 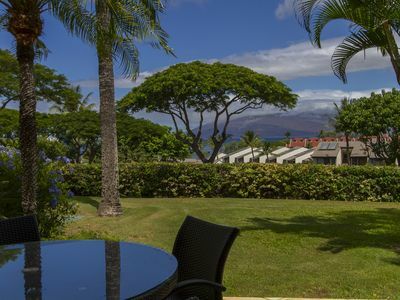 Fabulous, unobstructed view of Maalaea Bay, the majestic volcano Haleakala, the sparkling lights of Kihei at night and glorious sunsets. 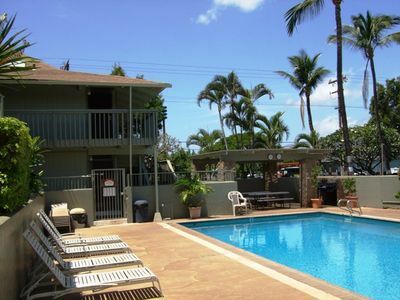 Features central air-conditioning and in-unit washer and dryer. USA made plantation teak counter height lanai set recently added. No more looking through the railing to see the humpback whales! 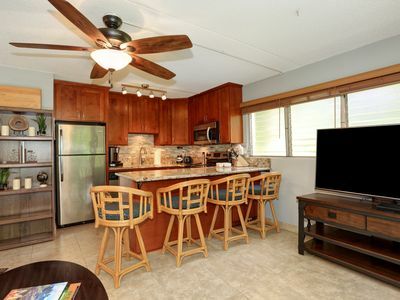 Enjoy the lovely green granite countertop and well-equipped kitchen, including fridge with icemaker. 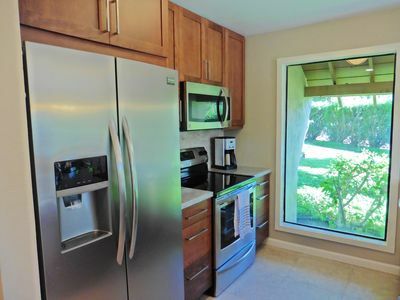 New pots, pans, stainless steel kettle, coffee grinder and everything needed to make the perfect meal at our Maui gem. 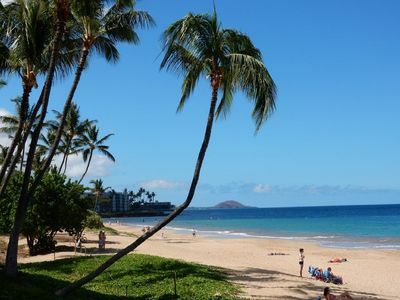 Enjoy as we do, walking on the beautiful, uncrowded 5 miles of Sugar Beach and listening the soothing sounds of the ocean, right outside your unit. 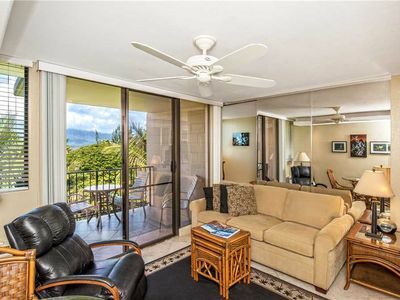 Breathe in the fresh ocean air and feel the cooling breeze, while sipping your favorite refreshment on the lanai. 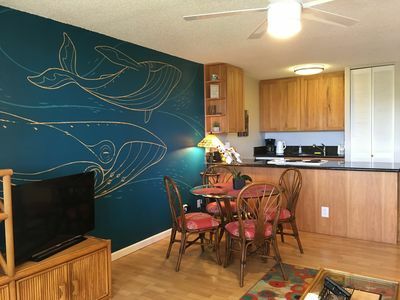 The entire unit is decorated with the spirit of Aloha in mind. 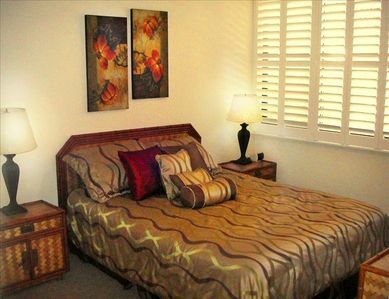 The bedroom offers a comfy king size bed with ensuite bath. Enjoy the beautiful walk-in shower remodel including rain showerhead. 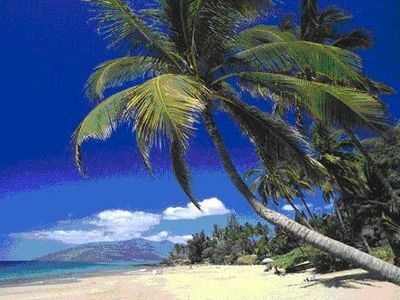 Also included are FREE calls to Canada and the USA, free secured Wi-Fi, internet, cable TV, iPod docking station. 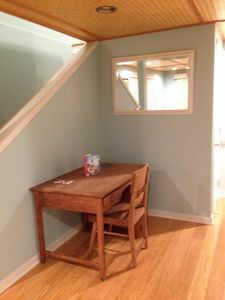 This unit is centrally located between the elevator and the stairs – quiet! Parking is free. What more could you ask for...book today! 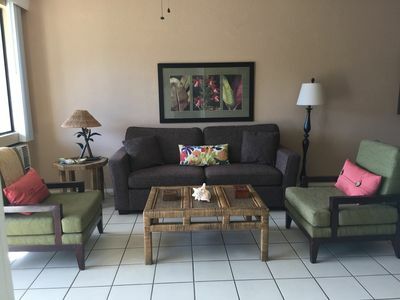 Completely renovated and high end furnishings! Modern luxury and great rates! 1/2 PRICE OCT!! 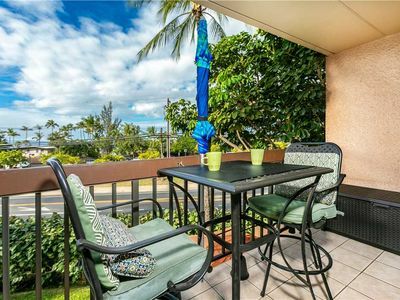 !BEAUTIFUL OCEANFRONT REMODELED VIEWS VIEWS VIEWS!!! I.P.M PRESENTS: HOOLEI 69-5. 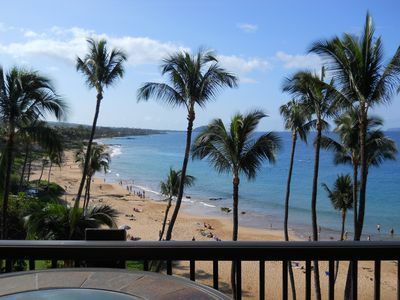 GREAT VIEWS + AMAZING RATES! 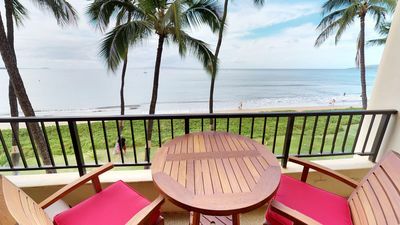 FROM $595/NT. 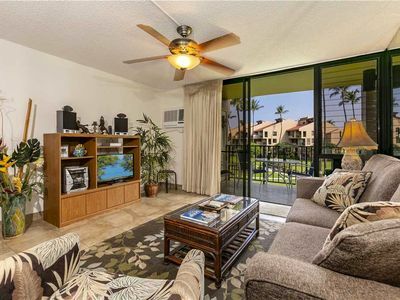 Beautiful 2 bedroom/2 bath family condo -Walk to the beach! 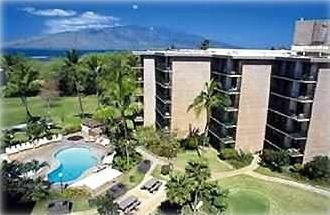 Kihei Resort F-220 Beautiful Condo! Lush Landscaping! 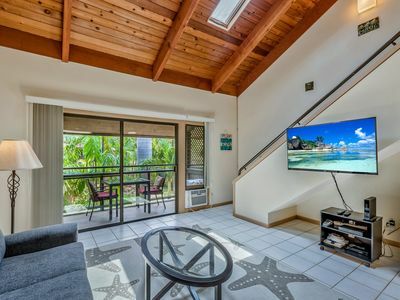 2 Bedroom 2 Bath! 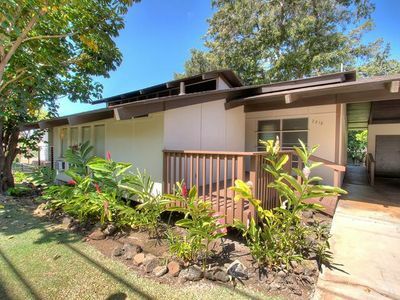 Ground floor at Kihei Kai Nani #145 , very comfortable , lots of upgrades .